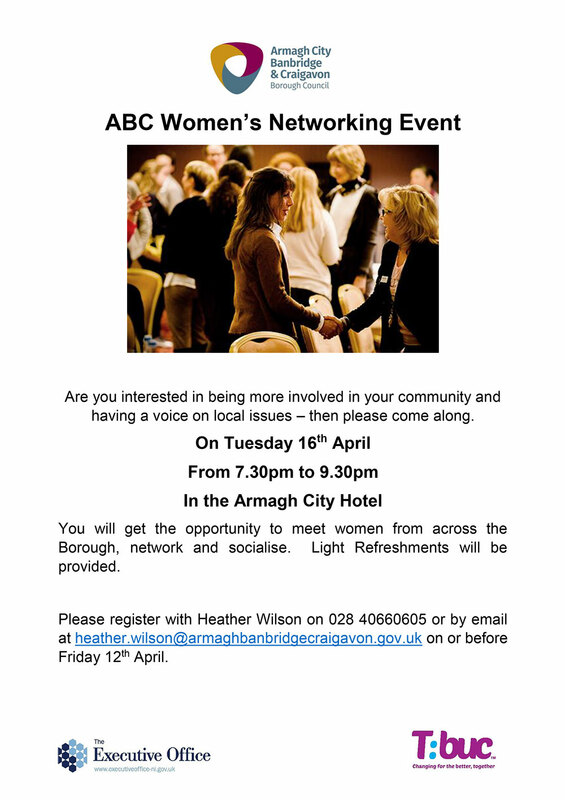 ABC Community Network will be closed on Friday 19th April and reopen on Monday 29th April. 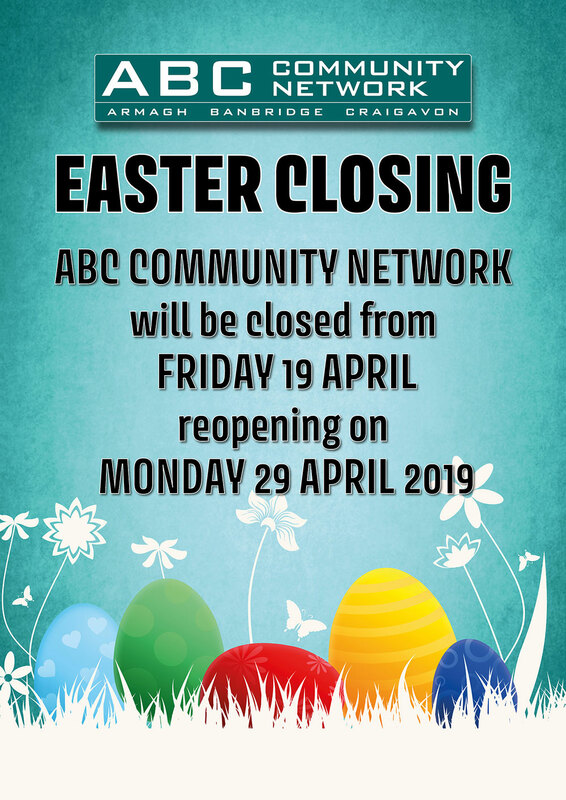 Happy Easter from all at ABC! 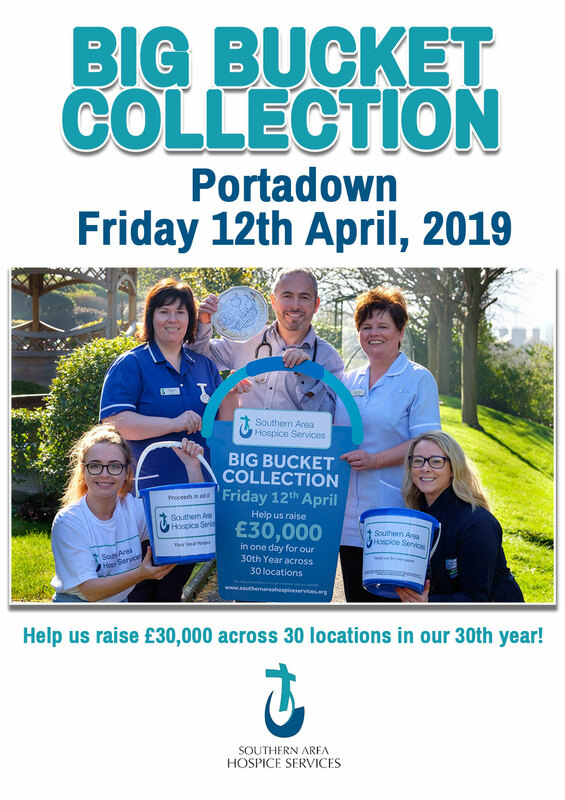 Friday 12th April all day in Portadown town centre. 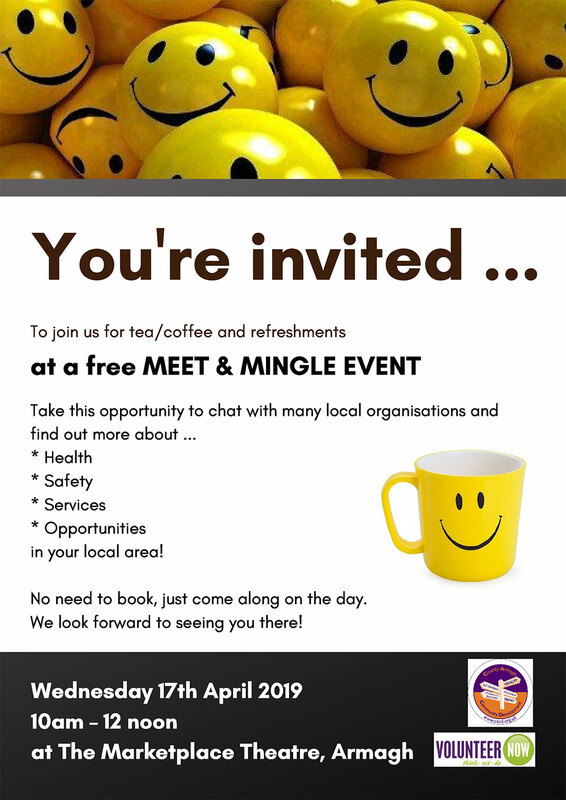 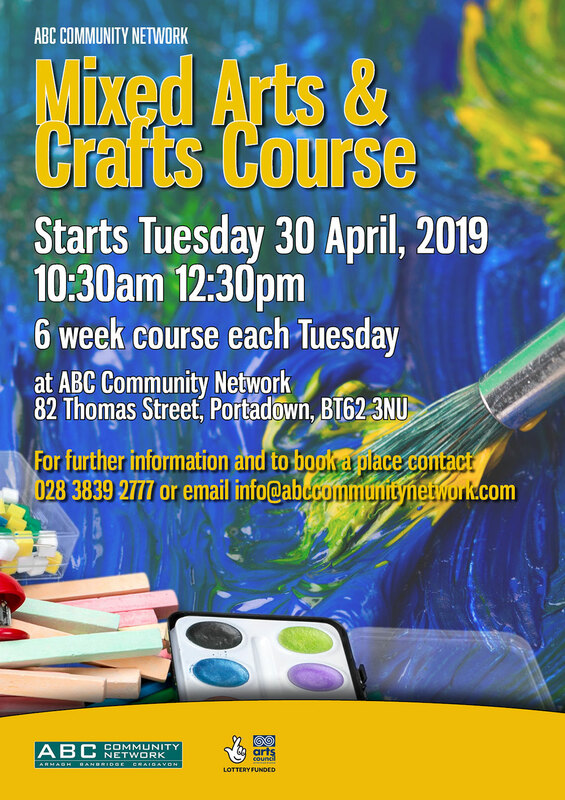 Register with Heather Wilson on 028 4066 0605 or email heather.wilson@armaghbanbridgecraigavon.gov.uk on or before Friday 12th April. 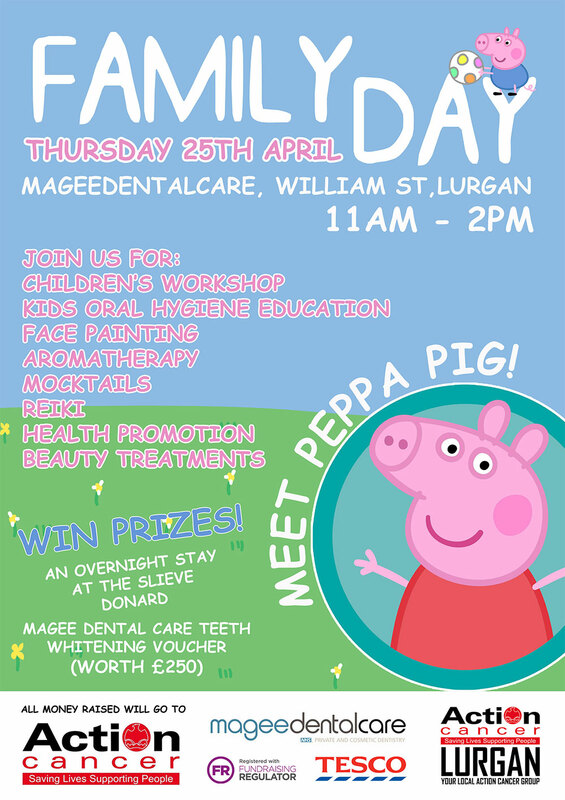 All money raised goes to Action Cancer Lurgan.